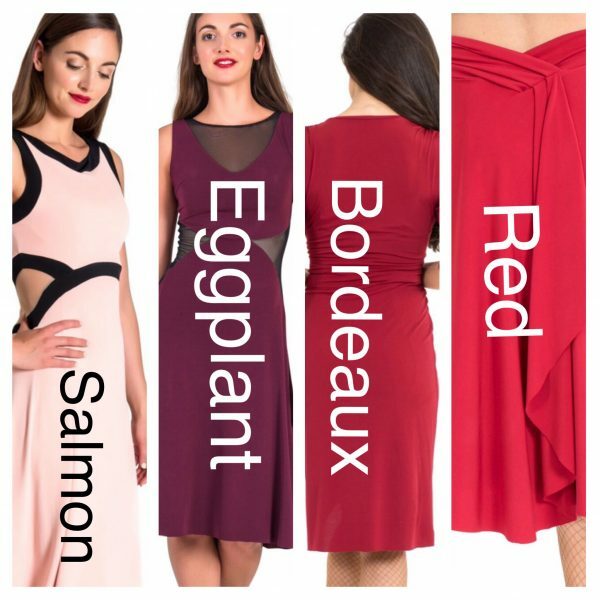 This Asymmetrical and Reversible Knee-length Tango Dress is an easy and fun Passepartout Tango outfit. 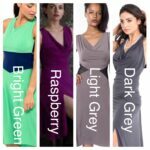 Ideal for both Tango Practice and Milonga. 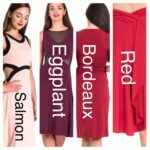 You can wear this Tango Dress in two different ways: either with the deeper neckline at the front or at the back as shown in the the pictures gallery. This Tango Dress is available in Navy Blue, Balck and Light Grey. 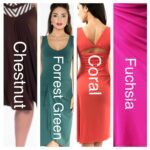 You can wear this reversible Tango Dress in two ways: either with the deeper neckline at the front or at the back as you can see from the pictures. 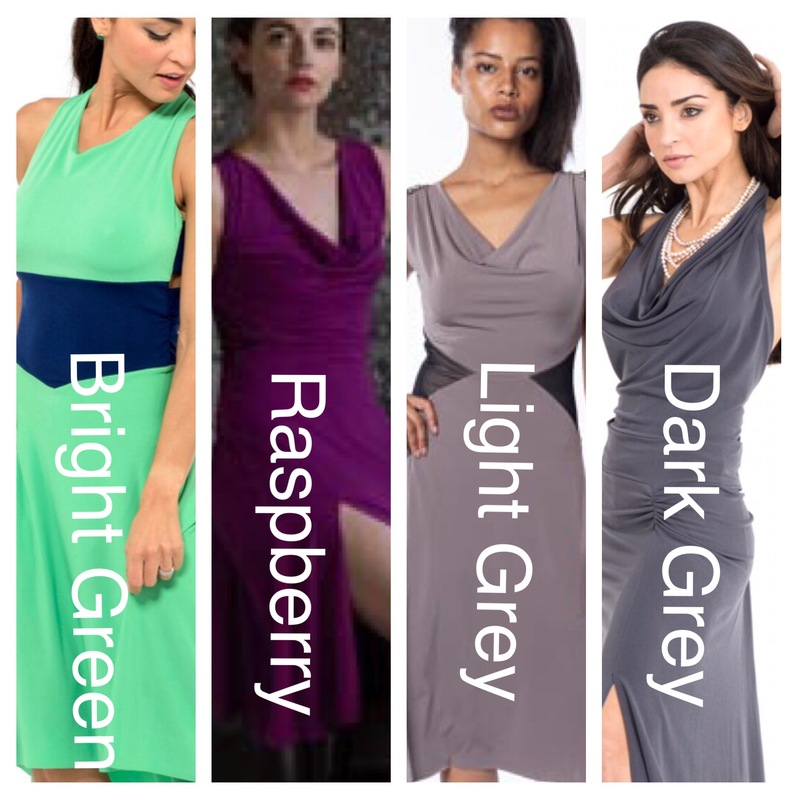 You can wear this Tango Dress with any standard bra. 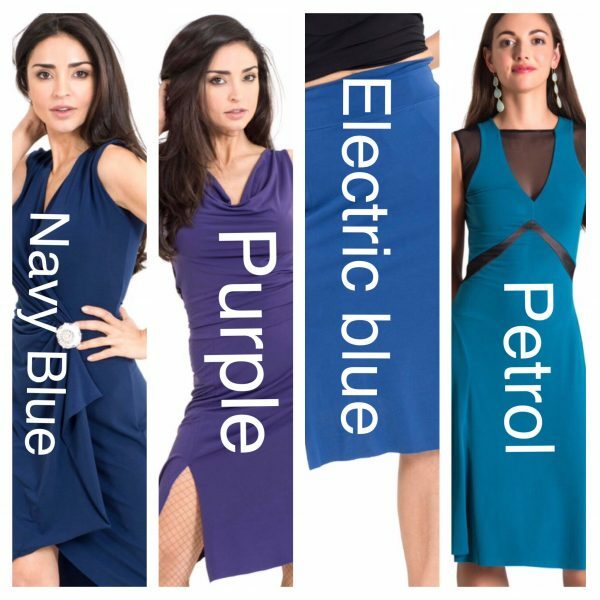 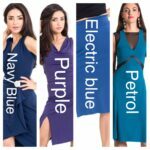 We offer the Asymmetrical and Reversible Tango Dress in black, light grey and navy blue jersey in our standard offering.